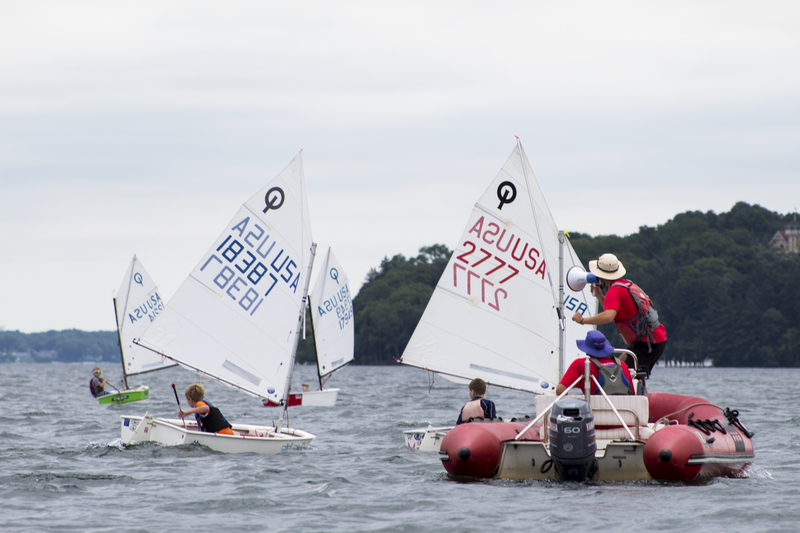 Optimist Race Team is a advanced course designed to introduce kids to the competitive scene. Practices run Monday - Friday 9am -12pm and consist of a drills and activities that prepare the sailors for upcoming races. 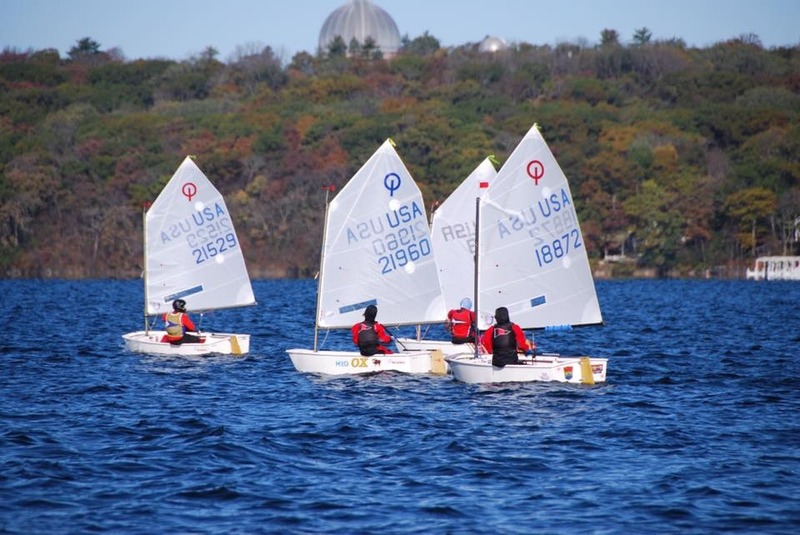 Participants will get coaching support during LGYC race sries and at LBSS Optimist Dinghy Regatta, No Tears Regatta, GLSS Dinghy Fest and ILYA Championships. Once on the water, coaches direct the team through a series of drills and activities, or supervises the team in a Yacht Club-sponsored race. At the completion of water activies, coaches provide an individual performance review and de-rigging assistance. ​​This program offers a positive team setting where young sailors can learn and apply advanced racing skills. Opti Racing Team members begin their day at 9 am with a general meeting and review of previous days efforts. Sailors participate in a chalkboard lesson or land exercise emphasizing a key skill each day. After coaches issue a game plan for the practice or race ahead, sailors are then sent to rig and launch.